In Autologous fat grafting procedure excess fat is removed from areas in which you have extra fat, such as thighs by liposuction and injected it into areas that might lack in volume, for example, your face, hands, breast or buttocks. This procedure is safe, long-lasting and produces natural looking results. 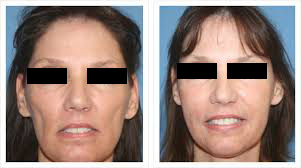 Most of the patients experience fruitful fat grafting and are satisfied with the outcomes. The fat tissue removed by liposuction is then prepared into a fluid and injected into the area lacking fat/volume. Another type of fat grafting, called lipofilling, has been used for various years to settle minor differences in the shape, balance, or position of the recreated breast contrasted with the other breast. A local anaesthetic is inserted in the area from where fat is to be removed keeping in mind the end goal to numb that area. A cannula, a meager tube connected to a syringe, is then inserted into that area through a small cut. Furthermore, the fat cells are extricated from the skin. Before being utilized, these extricated fat cells are purified and prepared for re-injection. Through small cuts or incisions, your surgeon carefully infuses the processed fat cells into the body part lacking volume utilizing a cannula. Buttocks: Numerous individuals who seek a fuller, more rounded buttocks undergo fat transfer to get more voluptuous buttocks without the use of implants. Liposuction is generally used to both shape the surrounding area and gather the autologous fat to be injected. Face: to fill in the voids of the temples, cheeks, forehead and skin folds (wrinkles) to give a more youthful appearance. Hands: Fat grafting is performed for adding volume, "plumping up" wrinkled areas, covering hidden vessels and ligaments and enhancing the nature of your skin after some time.